Split the payment over 13 weekly payments of $57.31 Shipping & returns info Free shipping! 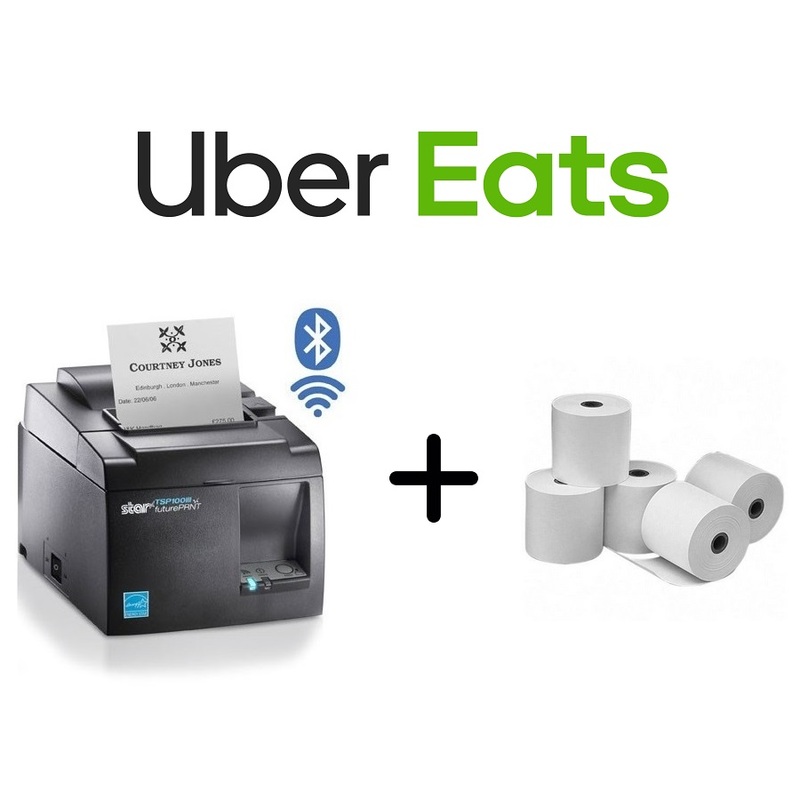 This Uber Eats Bundle consist of an Official Uber Eats TSP654IIBI-24 Receipt Printer plus a Box of 24 Thermal Paper Rolls. This Bundle is cover by all Australian Warranties and a recommended product by Uber Eats. When it comes to purchasing an Uber Eats Printer, it is important that you choose the Officially recommended Printer. We have customised a perfect solution enabling you to get a Star Micronics TSP654IIBI-24 plus a Box of Paper at the best price and is compatible and recommended by Uber Eats. When you purchase an Uber Eats Printer from us, you can rest assure that you will receive full Australian Warranties which is 12 Month + 24 Month Additional when you register your product with Star Micronics Australia. Check out the below details for printer specifications. 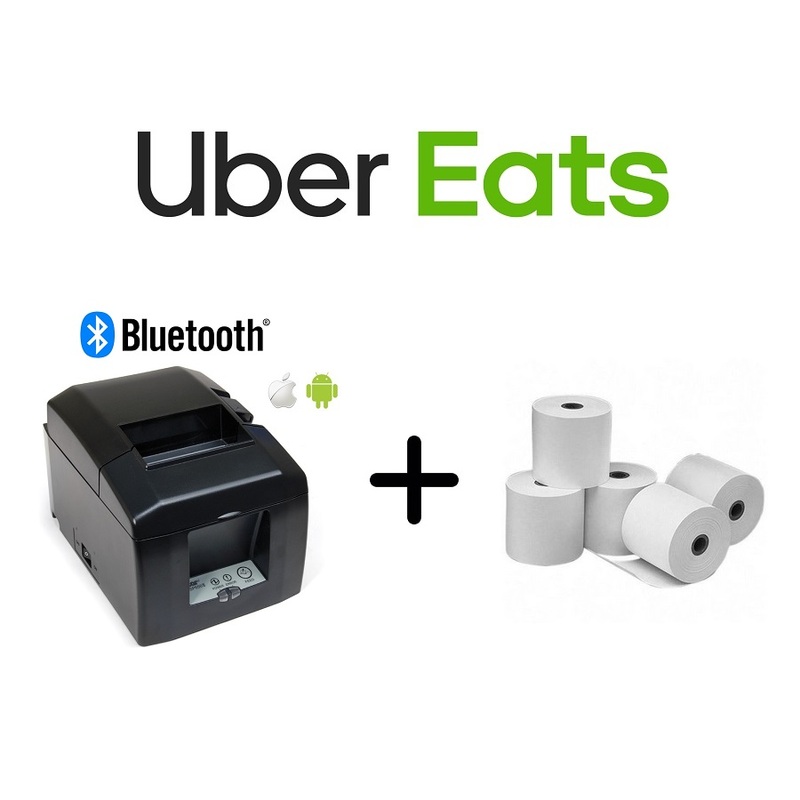 Uber Eats compatible Star Micronics TSP654IIBI-24 Bluetooth Receipt Printer. 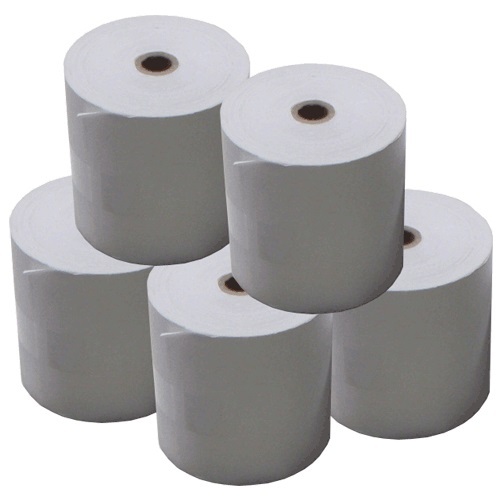 The Star TSP654II boasts a lightning fast print speed of 60RPM (receipts per minute) (300mm/second). The TSP654II also features an improved Guillotine Cutter (2 million cuts), easy "drop in and print" paper loading and a small footprint. Extended warranty registration MUST be completed within the standard 12 month warranty period to qualify for extension. Register your Extended Warranty Here!